Whether your new build project is residential, retail, leisure or education, a well-constructed roof can ensure the structure is energy-efficient, resistant to damage and in many cases retains its value in the years to come. It’s important to consider all the options when choosing a roofing system for a new build project. That’s why we’ve put together this summary of the most popular options to help you choose the right roof for your project. What are the most popular roofing solutions and what are their pros & cons? There are some options that have been in use for years, some for centuries and these are always worth considering. Slate roofs have been part of UK homes for centuries and come in a variety of colours and styles from around the UK and from abroad. They are suitable for modern and classical styles of home. Concrete tiles are a newer arrival on the scene but have become popular because they can effectively mimic other materials and are very versatile. They also cost less than some of the traditional options. Clay roof riles are a great looking classic style of roof most often associated with Mediterranean homes as well as style such as Spanish Mission in the US. If you are building a classical style of property, then this can be a great option. Flat roof materials have advanced a lot in recent years with developments such as EPDM rubber. These are tougher and longer lasting than traditional roofing felts and if you need an area of flat roof, then this kind of material can work well. Metal has been used in roofing systems for centuries with copper and alloys being integral in European medieval architecture. In modern times the use of metal roofs was most often seen on outbuildings or commercial properties but in recent years has become a hugely popular choice for all types of projects. Available in a range of styles and colours metal roofing can tie in with any style or aesthetic and offer unrivalled durability, lifespan and weathering. Most of the materials mentioned have their pros and cons to consider. Slate, for example, has a classic look and will last a long time but it is significantly heavier than other materials, so a certain level of roof structure is needed. Clay tiles offer stunning aesthetics and offer a good level of insulation. However, they are also very heavy so that a strong roof structure is needed, and they cannot be walked on after being laid or they will likely crack so maintenance can be an issue. As mentioned above Metal roofing systems are popular for their unrivalled durability, lifespan and weathering. In the past metal roofing materials, such as lead or copper, tended to be heavy options which much like other weighty materials required a certain level of roof structure in order to be used. The development of lightweight steel tiles such as those offered by Metrotile have revolutionised metal roofing systems and the roofing market in general. They are easy to install, low maintenance and come in a variety of different styles. 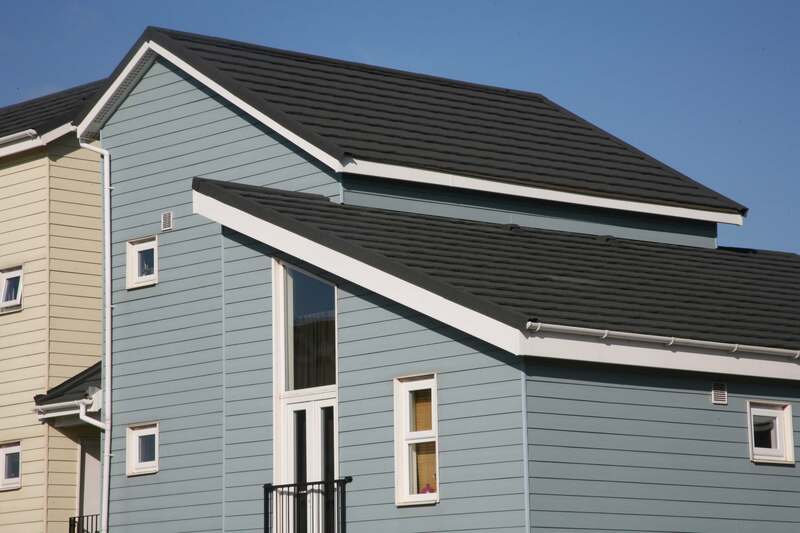 They also offer unrivalled insulation and are extremely lightweight, so they have the flexibility to work with most roof shapes in a way that would be impossible with traditional tiles. Why is lightweight steel roofing the future? Of the different roofing options, one stands out as having many benefits and almost no drawbacks – lightweight steel roofing. With a 40-year guarantee and rigorous testing to ensure they can withstand the worst of the weather, Metrotile’s roofing option is the future. It offers stunning aesthetics, high fire resistance and helps to insulate the property making it great for homes of all design. To find out more about using Metrotile’s lightweight tilesfor you project or to request a free quotationget in touch with us by calling 01249 658 514or fill out our contact formfor a quick response.